Trip to everest base offers an experience of visiting scenic Lhasa city. It also provides the opportunity to be at base camp of highest peak of the world. Lhasa Everest base camp tour is the fly in drive out tour exhibiting the magnificence of Tibetan highlands, landmarks, pristine lakes, great himalaya views along the cultural exploration of Tibetan Buddhism. We embark our mount everest trip from Kathmandu as we board a flight towards Gongar airport in Lhasa after having an instant meal. In our initial couple of days, we will be sightseeing around Lhasa city. Then we visit to Potala Palace, the home of Dalai Lama . It has its own historical importance and is the center of attraction in this region . After taking a short drive towards west of Lhasa we will be at Drepung monastery which is one of the largest monastery . 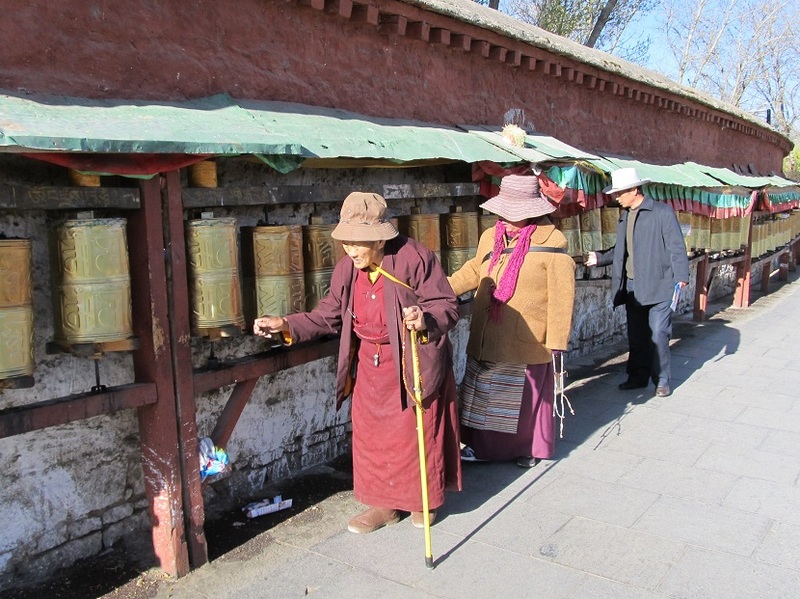 Lhasa welcomes hundreds of Buddhist pilgrims from all over the place. Similarly, next day we will be sightseeing ancient Jokhang temple where you will get the feeling of uniqueness and bit of surprise. Finally we visit Norbulinka palace and leave Lhasa to head towards Gyantse. On our way, we will pass through famous holy Yamdrok Lake. Furthermore we visit to various monasteries, Dzongs and temples. Then we will be at Shigatse, Shegar, Tingri and Rongbuk. From Rongbuk the feeling of accomplishment strikes us as we will arrive at base camp of highest mountain of the world, Mt. Everest. Finally we take a drive towards Zhangmu via Lallung pass where we can view the great views of Mt. Everest, Cho oyu and other neighboring peaks. Following the roadways we drive back to Kathmandu upcoming day. Join mount everest trip on roof of the world professionally organized by Euro Asia Treks and create the unforgettable moments which you would cherish in years to come.